How many people would willingly risk their life just for fun? The answer may surprise you. 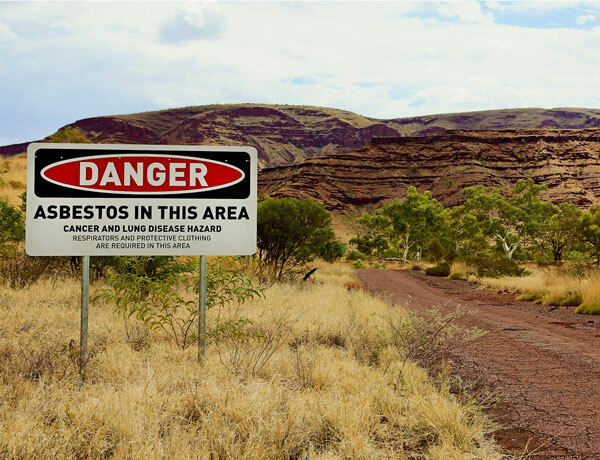 In Western Australia alone, hundreds — perhaps thousands — of people from around the globe are ignoring health warnings to travel to the Pilbara region and the former asbestos mining town of Wittenoom. Situated deep in the heart of the Karijini National Park, surrounded by spectacular gorges and red ribbon scarps, the infamous ghost town has become a tourist hot spot for those seeking thrills in a place of natural beauty. The tragedy is, there is nothing remotely beautiful about Wittenoom’s history, or its never-ending curse of blue asbestos. Colonial Sugar Refinery (CSR) blue asbestos mining and milling at Wittenoom has had a significant impact on all Australians. Western Australia has the highest rate of malignant mesothelioma than any state in Australia or elsewhere in the world per capita of population. More than 2,000 mesothelioma deaths have been attributed to Wittenoom. When CSR ceased mining operations in Wittenoom in 1966, there were no magic wands to cast away the aftermath of mined asbestos from the township or the surrounding gorges. Mountains of tailings — the product left after asbestos is separated from the ore — containing around 150,000 tons of raw asbestos fibers were dumped and remain to this day. Numerous signs warning people to stay away have done little to prevent the hordes of travelers, including those with small children, from camping, hiking and swimming in contaminated areas. Some even take organized tours conducted by Western Australia tourist operators. Wittenoom has become a hot spot for thrill seeking travelers with an interest in finding remnants of the town’s tragic past. The dire situation has recently come to light through a Facebook page titled “Lost Wittenoom.” It was set up by a woman who lost six family members to mesothelioma. All were former residents of Wittenoom. Intended to provide former residents the opportunity to share photos and memories, the page is instead being used by recent visitors to the ghost town who treat the area as a playground and can’t wait to brag about it. Photos and YouTube videos are also being posted by four-wheel drive adventure groups who travel dangerously close to mountains of blue asbestos tailings and venture deep into old asbestos mine shafts looking for relics of the past. Why anyone would travel to Wittenoom despite the warnings is beyond me. I wish there were warnings in place back in 1954 when my then future father-in-law Vic Kember decided to take up the position of engine driver at the asbestos mine in Wittenoom. He moved 7-year-old Brian, his 9-year-old sister Pat and their mother Dorrie into a house provided by the company. Had there been any warnings regarding the health risks of asbestos, Vic would surely not have gone there and I would not have become a mesothelioma widow at the age of 51. As it turned out, the Kember family spent very little time in Wittenoom. But it was tragically long enough to seal Brian’s fate. Forty years after he left the town, the sudden onset of unexplained breathlessness led to him being diagnosed with pleural mesothelioma, an asbestos-related cancer. It was a tragic consequence of the asbestos he was exposed to while living in Wittenoom. Over the following two years, I witnessed mesothelioma robbing Brian of everything he once loved. When he died, a part of me died along with him. Like many grieving families before me, I had become another victim of asbestos, condemned to life without my loved one. It has been almost 17 years since Brian died. During this time Wittenoom has been featured in the media many times — every one of them a painful reminder of Brian’s suffering and my loss. To the person who spoke these careless words and to anyone who takes warnings to stay away from Wittenoom lightly, I can only say you want to pray you don’t die of mesothelioma. There will be a lot of suffering for you and your loved ones before you do. Harsh words, I know, but more needs to be said and done to end this madness. If memorial crosses bearing the names and ages of the more than 2,000 asbestos victims from Wittenoom were placed around the perimeter of the town and gorges, would it convince the hordes of travelers to stay away? Sadly, I don’t think so. I just hope it doesn’t take them or someone they love being diagnosed with an asbestos-related cancer before they finally see the light. Y. Young. (2018, July 12). 'Got to die of something': YouTubers dicing with death at Wittenoom. Asbestos Diseases Society of Australia. (n.d.). The Wittenoom Tragedy. Bennett, C. (n.d.). The Blue Ghosts of Wittenoom.